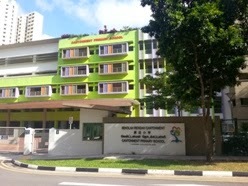 Cantonment Primary School is located at 1, Cantonement Close in Singapore 088256. It is enclosed within Tanjong Pagar Region. Tanjong Pagar is known as a historic district that lies within the Central Business District in Singapore. Nearest MRT is Tanjong Pagar MRT and the closest bus interchange is Harbourfront Bus Interchange. Amenities in the area include Lucky Chinatown, OG Building, China Square Central, Far East Square, Capital Square, Riverside Point, Clarke Quay, NTUC Fairprice and Cold Storage. Other schools close by are Outram Secondary School, Radin Mas Primary, CHIJ Kellock Primary and Zhangde Primary School.